It's the most wonderful time of the year! Christmas stickers are a small, fun way to brighten a student's day during the holiday season. 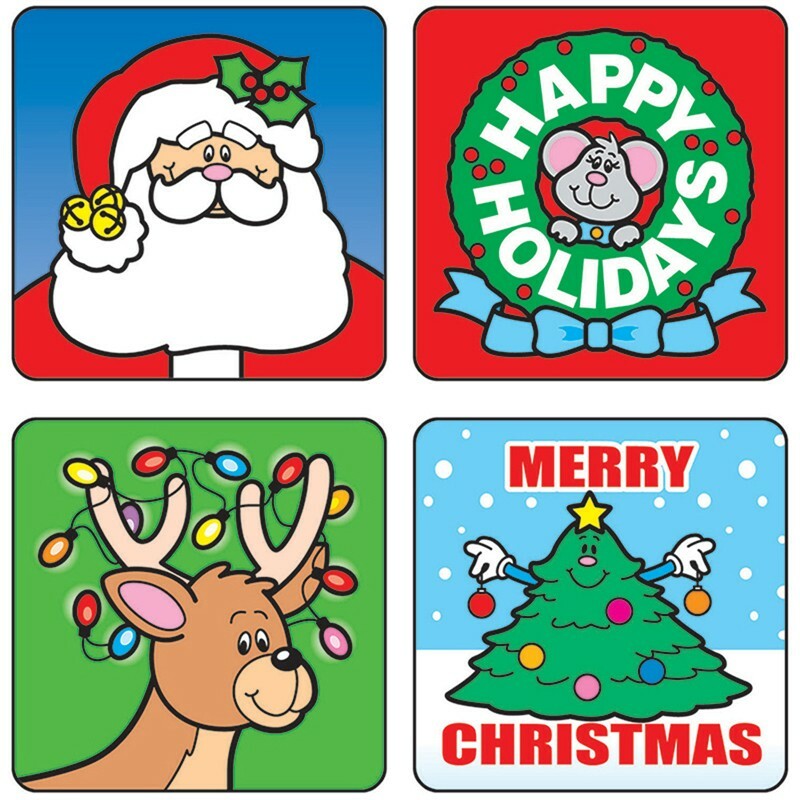 Perfect for reward or recognition, these 1" x 1" motivational stickers feature, Santa Claus, a reindeer, a Happy Holidays message, and a Merry Christmas message. They come 120 per pack and are acid free and lignin free!